We at USA Guided Tours — home to the #1 experience in the nation according to TripAdvisor — are thrilled to bring our award-winning bus tours to Boston, starting this spring. Our full and half-day tours, led by our expert local guides, will show you the best of Boston! Our mission is to provide a more enjoyable sightseeing experience! 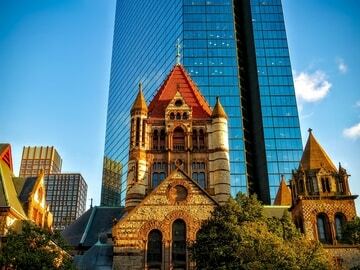 Get accompanied by expert Boston tour guides who will hop off at each stop to provide you with comprehensive and more intimate sightseeing experience. Our bus tours are conducted with climate-controlled luxury tour buses that offer comfort and protection from weather elements. Our NYC and Washington, DC bus tours have garnered numerous industry-recognized awards over the years, and now we're bringing the same award-winning bus tour concept to Boston! Spend the day touring Boston with our expert local tour guide, visiting historic towns – of Cambridge, Lexington, and Concord, historic spots - like Beacon Hill, the North End, the Seaport District, and historic locations along the Freedom Trail, including the USS Constitution! For those who are limited on time, take the half-day Boston bus tour and enjoy 4.5 hours of fully-guided sightseeing, visiting historic towns of Cambridge, Lexington and Concord, houses of famous authors, and more! Create your own custom tour and explore Boston on your terms! Select the sites you'd like to see, choose your pick up and drop off location, and time window and let us us take you on a memorable sightseeing experience of Boston! ’Tis the Luck of the Irish — Boston Style! 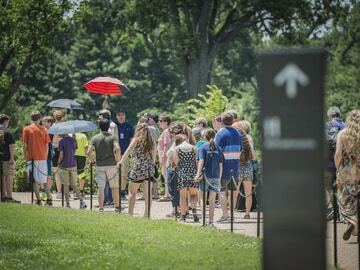 USA Guided Tours is Coming to Boston! 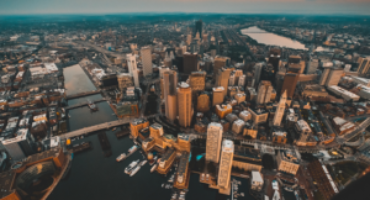 Boston ranks as one of American’s best cities thanks to its colonial and Revolutionary history, its renowned architecture, and its beautiful waterfront overlooking Boston Harbor. On our guided bus tours, you’ll see the best of Boston from the comforts of our climate-controlled buses, so you never have to freeze or bake waiting for the next hop-on, hop-off bus to arrive. Moreover, our complimentary bottled water will keep you hydrated for the short bursts of walking we do, so that you can see Boston’s iconic landmarks up close (and stretch your legs!). Our tours also take in the architecture and atmosphere at some of Boston’s most bustling areas, from the famous squares in Cambridge to the Faneuil Hall Marketplace. 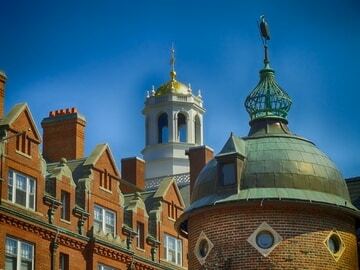 Harvard Square features iconic buildings like the neo-gothic Memorial Hall, while Faneuil Hall is home to one of the most impressive late-colonial buildings in the city — including its famous grasshopper weather vane topping the belltower. If you’re visiting during the New England winter, you’ll really appreciate the heat of our climate-controlled buses — plus the fact that you don’t have to hop-off and on into a polar vortex! From the Faneuil Hall Marketplace to Harvard Square, from the Charles river to Back Bay, our expert tour guides will give you the lowdown on Boston’s must-see attractions. Ready to take fully-guided Boston bus tours? 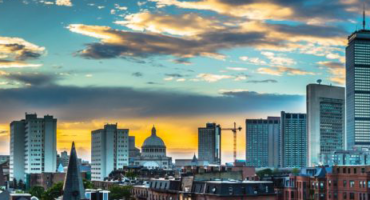 Spend the day touring Boston with your friendly/expert tour guide, visiting historic towns – of Cambridge, Lexington, and Concord, historic spots - like Beacon Hill, the North End, the Seaport District, and historic locations along the Freedom Trail, including the USS Constitution. More about our full-day Boston bus tour. For those who are limited on time, take this 4.5-hour fully-guided Boston bus tour of historic neighboring towns of Cambridge, Lexington and Concord and see National Historic landmarks and houses of famous authors. More about our half-day Boston bus tour. Select the sites you'd like to see, choose your pick up and drop off location, and time window and let us us take you on a memorable sightseeing experience of Boston! More about our private Boston bus tour.